What Box Triggers and Actions Are Available? 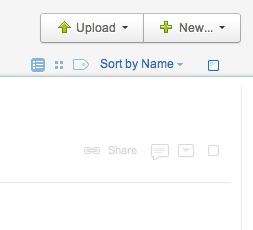 New Comment - Triggered when someone comments on a file in a folder you own/collaborate on. New Folder - Triggered when you add a new folder. Task Assigned to You - Triggered when you are assigned a task. New Event - Triggered when a new event is performed (this is the activity stream). New File - Triggered when you add a new file to a folder. Add Comment to File - Adds a comment to a file. Add Task to File - Adds a task to a file. Create Text File - Creates a brand new text (.txt) file from plain text content you specify. Upload File - Copy an already-existing file from another service to Box. Move/Copy File - Moves or copies a file from one folder to another. Add User as Collaborator - Adds an individual user as a collaborator on a folder. Create Folder - Creates a brand new folder at the path you specify. The first thing you'll need to do to get started with hooking up Box with Zapier and hundreds of other services is to add your Box Account to Zapier. Click to add a Box account in your Zap. You should then get a pop-up window from Box asking you to log-in to authorize the connection between that Box account and Zapier. If you are already logged in the pop up will show right away. Enterprise Box users: If you use single sign on, enter your email address only in the login box (without a password). Click login and you will be taken to your usual login page. Logging into Box finishes the process! Your Box account is now connected to Zapier. When we pull files for a folder from box we only pull the top 100 items. Box's API is setup in such a way that we have no control over the sort order while the end user does. This means an incorrect sort order setting could lead to us missing items that occur outside of the top 100. Yikes! Now select the sort order that fits your needs. 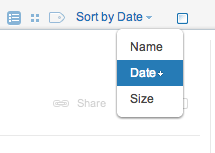 For the most part you'll want to sort by date in descending order. So click on Date and make sure the tiny white arrow next to it is pointing down. If it is pointing up (ascending order) click again to switch to descending. Navigate away from this page and return to be sure that the sort order change was saved. Now you should be able to get items that slide outside of our retrieval window. For enterprise Box users, when Zapier sends you to login to your Box account, you should enter your email address (without your password) and click the login button. This will redirect you to your usual single sign on page, where you can login like normal.